Here's something every Vermont road tripper can aspire to: membership in the 251 Club. In the Summer 1954 issue of Vermont Life magazine, Dr. Arthur W. Peach proposed a club "to be made up of Vermonters and others who can show that they have visited, not merely driven through, the 251 towns in the state." The idea, he continued, was "to discover the secret and lovely places that main roads do not reveal." According to vt251.com, more than 6,000 people have since done just that. Wanna join the club — or simply explore the rest of the state? Here are some weird and wonderful destinations to get you started. Who needs cell service when you have art — lots of it, looming way over your head? Get off the grid and feed your soul at Cold Hollow Sculpture Park, deep in a magical rural land an hour northeast of Burlington. 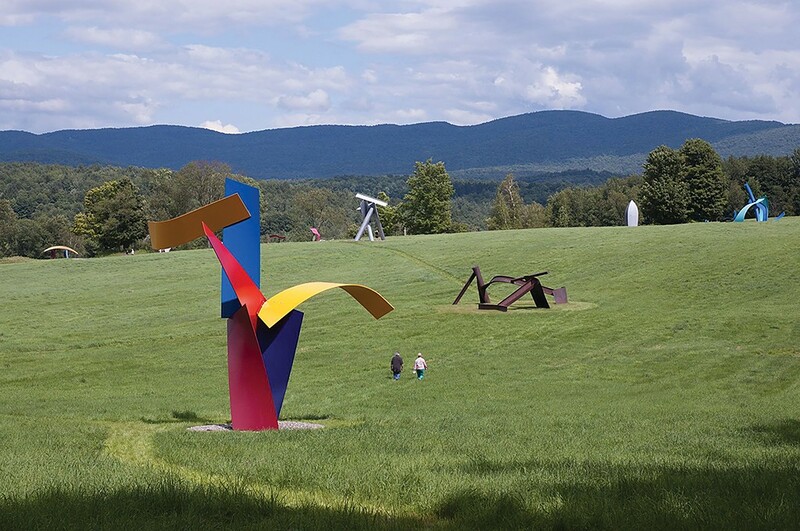 More than 50 steel abstractions dot 200 acres of meadows and hills, thanks to sculptor David Stromeyer, who has painstakingly shaped these monumental pieces for four decades. The park is free and open to the public late June through early October — and while the internet may not work there, your camera will. That's good, 'cause you'll want to take a piece of these angular, imposing, raw and whimsical artworks with you. Also, selfies. Lake Champlain has roughly 80 islands — some large, some small. For a truly remote island getaway, take a ferry to Burton Island, a 253-acre park off the tip of St. Albans Point. The quiet, car-free oasis offers three miles of relaxing shoreline. Campsites book quickly; reserve yours well in advance of the Memorial Day weekend through Labor Day season. Vermonters worship their dogs, sometimes literally. Don't believe us? 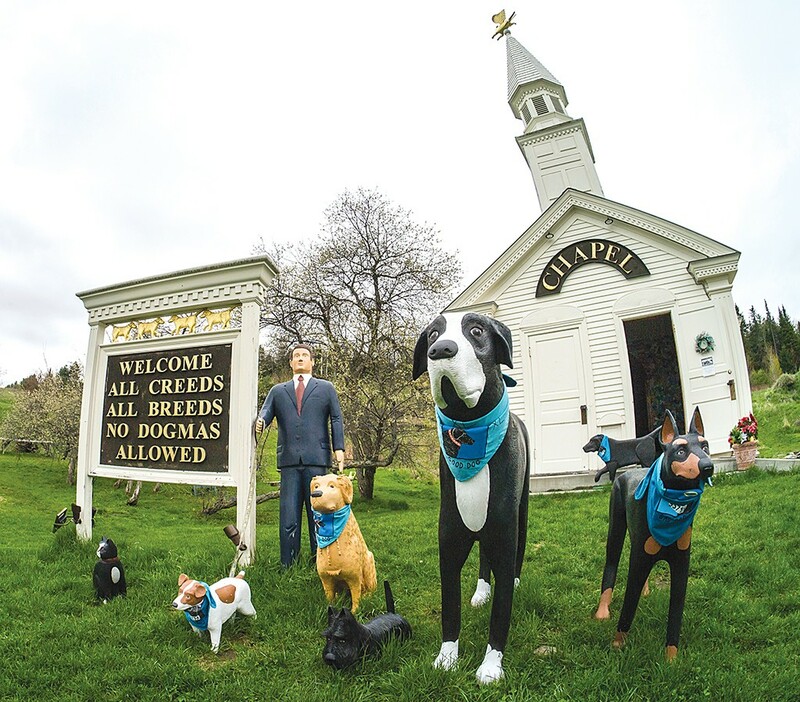 Visit Dog Chapel, part of a 150-acre pup paradise. Created by the late artist Stephen Huneck — famous for his canine-centric carvings and paintings — Dog Mountain is complete with off-leash hiking trails, swimming ponds and plenty of tennis balls. Woof! Vermont is known for its picturesque covered bridges, but this one has supernatural appeal. Local legend has it that the single-lane bridge is haunted by the angry ghost of a jilted bride — motorists have reported hearing maniacal laughter, seeing a white apparition and even finding scratch marks on their cars. Drive it if you dare. White River Junction's unofficial tagline: "It's not so bad!" But the railroad town is weird. Case in point: its Main Street Museum, a modern-day cabinet of curiosities that exhibits such things as the Connecticut River Sea Monster and a jar of lint. Pull over by a bridge on Route 4, summon all your courage and peer down. One hundred and sixty-five feet below, the Ottauquechee River flows through Vermont's deepest gorge, carved by glaciers roughly 13,000 years ago. They don't call it "Vermont's Little Grand Canyon" for nothin'. National publications have named Woodstock the prettiest town in the country and noted its "over-the-top American charm." If you want to see something quaint AF, look for its town crier, an old-fashioned chalkboard news bulletin by the town green. Check it for the latest in ice cream socials, apple picking and craft fairs.